Reciprocity Radio seeks to tell the story of how we eat, cook, and share meals and recipes not only across kitchen tables, but across time, distance, and generations. The process of cooking and following a recipe can be seen as a kind of performance or sensory experience, connecting everyone who has previously prepared that same dish. Reciprocity Radio will explore the inherent intimacy of recipes, sharing those stories and experiences we create and share in kitchens and across counter tops, continents, and cultures. 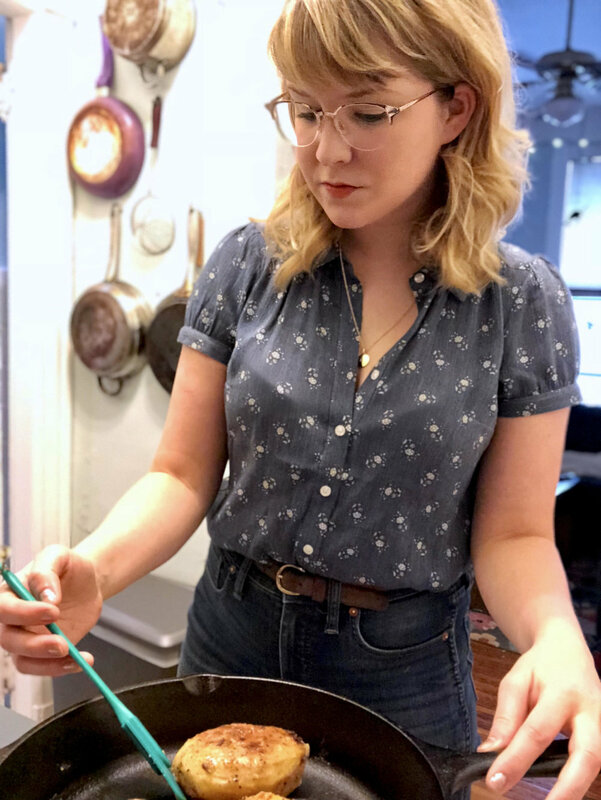 Your host, Amanda McCleod, is a big fan of being in the kitchen and cooking for friends and family alike. She has always been fascinated with recipes, cookbooks, food writing, and especially those little scraps of paper and newspaper clippings with recipes scrawled across them that we treasure and keep tucked away in the backs of our cookbooks. Reciprocity Radio is an idea years in the making, inspired by a long tradition of recipe swapping with friends and family members, and a youth spent avidly baking. She believes in the magic of mutual nourishment that occurs when we eat together, share, and feed each other. Your Host, Amanda McCleod, in her home kitchen.